I KNOW IT! The Cotabato Light team is enjoying the trivia-inspired LEAP-Brand 101 held at the company’s conference room which was facilitated by Brand and Corpcom Officer Donjie G. Vertuoso. It’s always a brand new day every time we had our Learn and Experience Aboitiz Power (LEAP) Brand day! 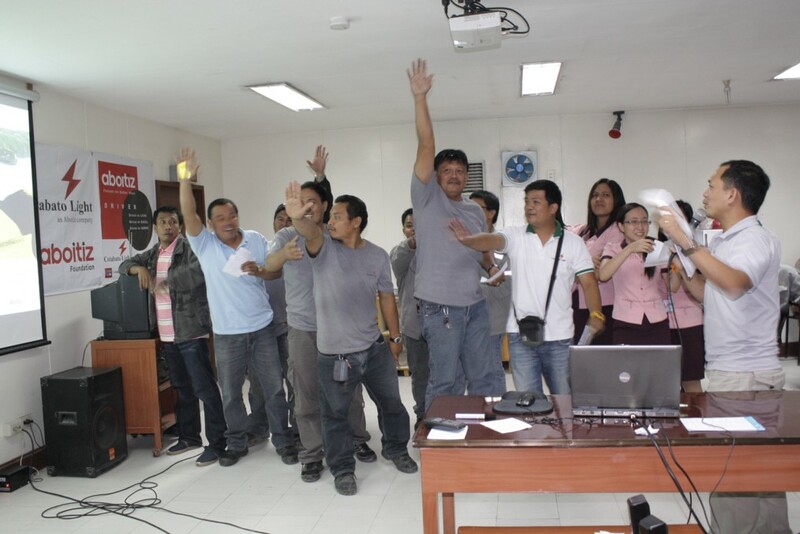 This time we had the AboitizPower brand 101 refresher trivia-inspired held on October 13-14, 2011 at Cotabato Light conference room. This was simultaneously done with our quarterly company business briefing. It was attended by 75 employees in two batches. The event was indeed full of fun and surprises as everyone tried to outperform the other team and win the “battle-of-the-brain”. Undeniably, in this kind of contest - knowledge is power! Thus, we need to be updated and refresh our memories about company and AboitizPower brand. The winning team received a beautiful AP coffee mug for each member, aside from learning AP brand in a proactive and fun way. There were also other AP brand items that were raffled and given away to team members present. The second part of the program was the business briefing. Again, the employees were given a dose of updates on company’s activities, projects and operational results. These were being done regularly to keep everyone knowledgeable and updated on what is happening in the company where we are working.